In addition to Crossrail building the new line, Havering Council is making significant improvements to the surrounding area of Gidea Park station to help enhance the look of the area and to compliment the work of Network Rail and Crossrail. Works in Gidea Park started in September 2017 and are due to finish by Spring 2018. When complete, the area will look very different, and have a positive impact on residents, businesses and commuters. The works outside Gidea Park station area include repaving footpaths outside the station, removing overgrown trees and plants, re-fencing outside the station car park and re-fencing the alleyway; new parking bays and two zebra crossings on Balgores Lane and Upper Brentwood Road, new heritage-style street lamps and traffic calming measures such as speed tables. 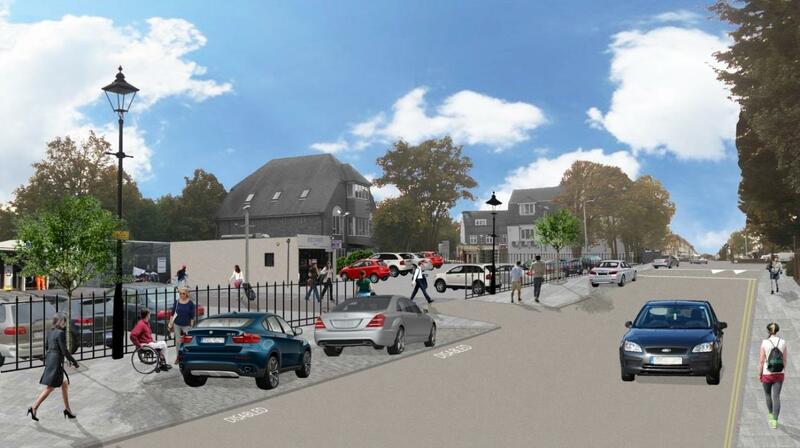 The scheme will help to provide greater opportunities to walk and cycle to and from the station. The Scheme will feature a raingarden and plaza. At the junction of Balgores Lane and Crossways, works will see overgrown and unhealthy trees removed to create a rain garden, with new plants and trees. The area has become known for anti-social behaviour, and this will open up the space, making it safer for people passing through, as well as improving biodiversity. The rain garden will capture rainwater for plants rather than being sent through street drains straight to water treatment plants. It will also reduce maintenance and provide a natural and sustainable source of water that will help the vegetation to flourish. This will be the first of its kind in the borough. The raingarden will also help attract wildlife, such as birds, insects and butterflies while carefully selected planting will improve air quality and add all year round interest and colour. There'll also be a new plaza at the front of the station, which will become a comfortable waiting area, with benches, a tree and bike racks.